Five Guidelines For Effective Classroom Management is the headline of a post I wrote for The British Council. Q & A Collections: Classroom Management Advice is the headline of one of my Education Week Teacher columns. It contains links to all the columns on classroom management from the past six years! As regular readers know, I’ve written a fair amount on classroom management. In fact, I’ve written a couple of books that include much on that topic. In the meantime, I thought people might find it helpful if I collected my choices for my best posts on this topic into a list. Why Viewing Classroom Management as a Mystery Can Be Helpful is a short excerpt from my new book, and it’s appearing in Education Week. Have You Ever Taught A Class That “Got Out Of Control”? “People who are angry pay more attention to rewards than threats” — No Kidding! 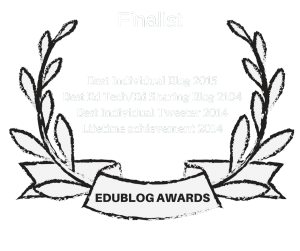 How To Recover From A Classroom Train Wreck…. Classroom Management Strategy: Here Are Three Things I Want. What Are Three Things You Want? Quote Of The Day: You Won’t Hear Better Classroom Management Advice Than This…. Now This Is The Classroom Management Mindset I Need To Have…. Q & A Collections: Classroom Management Advice brings all my Education Week Teachers posts on classroom management together in one place. Video: I Wonder How Many Of Our Students Hear This When We Go Over Classroom Rules? 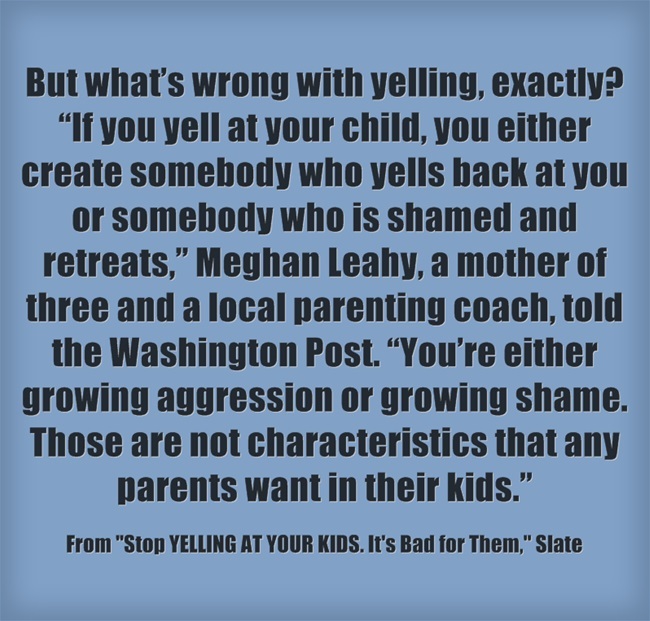 Researchers from the University of Pittsburgh found that “harsh verbal discipline”—cursing, insults, and shouting—can be as harmful to kids as hitting or spanking. The citation for the research cited in the video can be found on the video’s YouTube page. Striking a Balance: Digital Tools and Distraction in School is from Edutopia. More Teachers Adopting Restorative Discipline Practices is the title of an NEA Today story that unexpectedly features my classroom practice. Recasting At-Risk Students as Leaders is from Education Week. Keeping ‘The Big Picture In Mind’ While Managing Classrooms is a series of four posts I published on the topic at Education Week Teacher. Marvin Marshall offers good advice on handling interruptions in the classroom. 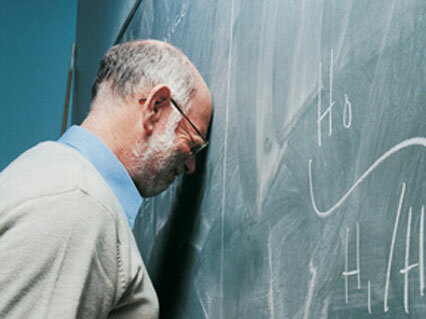 12 Ways to Avoid Student Humiliation is from Edutopia. Fresh Starts for Hard-to-Like Students is also from Edutopia. How To Make Difficult Conversations Easy is from TIME. Q & A Collections: Classroom Management Advice brings together all my Ed Week Teacher posts from the past four years on classroom management. 100% Upgrades offers some useful classroom management advice from Doug Lemov. 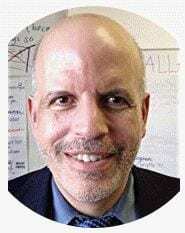 Managing Emotions (Yours): Dan Cotton on Strong Voice is by Doug Lemov. Lessons from the Incident in South Carolina is from Edutopia. How to Make Sure You’re Heard in a Difficult Conversation is a short article in the Harvard Business Review, and it’s a must-read for any teacher who sometimes has difficult conversations with students or colleagues. A difficult conversation has to be a two-way street. You’re unlikely to come to a resolution if you don’t hear the other person out. But equally important when addressing a conflict is getting your message across. So after you’ve thoroughly listened to your counterpart, increase the likelihood that they will see things your way by doing the following. Distract The Distractor is a great classroom management tactic from Jennifer Gonzalez. What is ‘Breaking the Plane’? is by Doug Lemov. How Childhood Trauma Could Be Mistaken for ADHD is from The Atlantic. Why Is Classroom Management Such a Problem for New Teachers? is from Ed Week. Detour ‘Around the Danger Zones’ of Classroom Management is Part Two in my Education Week Teacher series. If you’re a teacher, say “please” and “thank you” is by Ray Salazar and On ‘Please’ and ‘Thank You’ is by Doug Lemov. Asking “Why” Questions Does Not Improve Behavior is from Marvin Marshall. Study: Classroom-Management Fixes Work Best When Addressing Social-Emotional Needs is an Ed Week report about a new study on classroom management. I’m not sure if teachers are really going to learn much new from it. However, I’ve got to say that the report itself probably give the best review you’re going to find anywhere about classroom management research. Working With ‘Difficult’ Students – Part Two is the headline of one of my columns at Education Week Teacher. 20 Tips to Help De-escalate Interactions With Anxious or Defiant Students is from MindShift. You’ll want to read, and watch, Show & Tell: A Video Column / Two Times Ten Conversations by Doug Fisher and Nancy Frey. Top tips for getting older students to act their age is by Tom Bennett. Responding to Defiance in the Moment is from Responsive Classroom. The Chinese Word for Anger Shows the Best Way to Get Mad is from New York Magazine. It’s connected to what community organizers call “cold anger.” In addition to applying it while I was an organizer, I’ve also used it in the classroom to help direct student anger. New Study Finds That Threats & Using Guilt Tend Not To Produce Student Engagement – Duh! 11 Research-Based Classroom Management Strategies is by Todd Finley. 9 Mistakes That Sabotage Your Classroom Management is by David Geurin. 3 Myths About Your Teen’s Bad Attitude is from TIME and shares good advice for parents and teachers alike. Three Classroom Management Tips for New Teachers is from Bill Ferriter. Q&A Collections: Classroom Management Advice is the headline of one of my latest Education Week Teacher columns. It includes links to all posts from the past seven years on classroom management – in one place! 21 Phrases to Use in Dealing With Difficult Behaviors is by David Geurin. Deconstructing Disruption in the Classroom is by Josh Parker. 10 Tips to Maintain Positive Student Behavior is by Rita Platt at Middleweb. ‘Add More Positives’ When Your Classroom Goes South is the headline of one of my latest Education Week Teacher columns. A three-part series on classroom management is wrapped up by Julia Thompson, Rebecca Alber, Madeline Whitaker Good, Stuart Ablon, Alisha Pollastri, Allen Mendler, and Kelly Wickham Hurst. I’ve also included many responses from readers. Compassion-Based Strategies for Managing Classroom Behavior appeared in MindShift. If you found this post useful, you might want to look at the 460 other “The Best…” lists and consider subscribing to this blog for free.